Versify’s leading Outage Management software for Generation and Transmission Outages. A fully integrated platform for managing the complex processes of outage planning, ticketing, coordinating, scheduling, reporting, ISO/RTO submission and NERC GADS/TADS reporting. 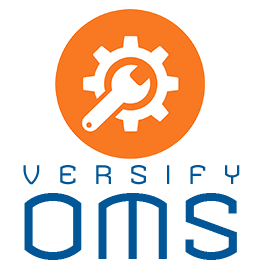 Versify’s Outage Management System is a cloud-based fully hosted software solution for managing Generation and Transmission Outages. The application is fully workflow enabled so you can model your business processes, digitize your forms (Shift Handover, Safe Work Permit, Switching Orders, Isolation Points) and streamline your operations. Combine Versify’s Outage Management with the Versify PORTAL Event Management solution to enable an extremely powerful operator and dispatcher’s log that is integrated with your outage planning and outage scheduling. Convert your emails, paper forms and processes to Versify’s Event Management workflow solution. All of your operations, field force and management can now communicate and manage their daily tasks on a single platform. Versify’s PORTAL Event Management software enables your organization to fill out of forms and checklists online via desktop or mobile devices such as tablets and smartphones. Operators, engineers and field force technicians can use their mobile devices to fill out Permits to Work, Safe Work Permits, Switching Orders, Isolation Point Checklists and Shift Turnover Checklists. Digitize your forms and model your business processes through Versify’s workflow and form builder! Stop chasing emails, phone calls, paper forms, documents and clicking through multiple applications! 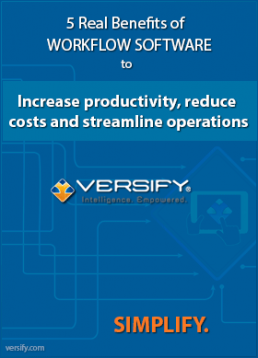 Versify offers a single platform to integrate large-scale, disparate data sources across multiple business functions and physical locations to increase commercial performance, provide significant O&M savings, and improve reliability and safety.